BAKERS SCAFFOLDING SECTION Rentals Ft. Collins CO, Where to Rent BAKERS SCAFFOLDING SECTION in Ft. Collins, Wellington, Greeley, LaPorte, Loveland, Windsor CO and all of Northern Colorado. 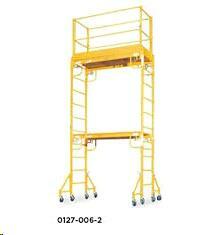 WORK PLATFORM ADJUSTS FROM 28" TO 70" AT 2" INTERVALS. 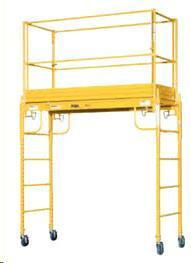 HEIGHT W\CASTORS 6', PLATFORM LENGTH 74" WIDTH 29", W\OUTRIGGER 65"
SAFETY RAIL OSHA REQUIURED FOR 10' AND ABOVE. 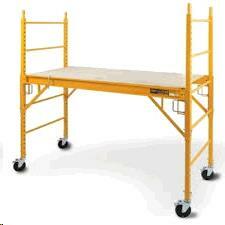 * Please call us for any questions on our bakers scaffolding section rentals in Fort Collins, Wellington, Greeley, LaPorte, Loveland, Windsor CO and all of Northern Colorado.